A prestigious race of autonomous Formula 1 cars in 1/10 scale was held in Porto, Portugal on 11 April. 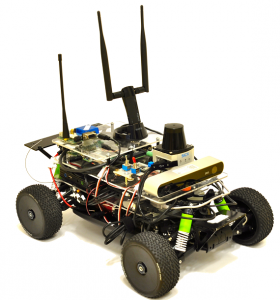 This is the second year of the competition organized by Pennsylvania University. Seven teams from around the world, including representatives from the USA, South Korea and Italy qualified for the race. 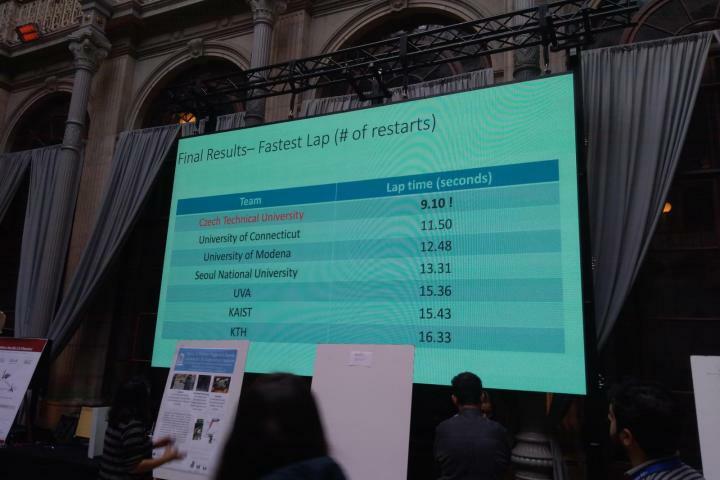 The control and optimization algorithms created by professor Zdeněk Hanzálek's developer team from the Czech Institute of Informatics, Robotics and Cybernetics and students of the Cybernetics and Robotics program of the Faculty of Electrical Engineering managed to traverse the course for 9.1 seconds while a team from the USA, passed it in 11.5 seconds. The F1/10 competition includes the design, construction and testing of Formula 1 cars in 1/10 scale to their actual size. They can speed up to 40 km per hour. It is the small dimensions and low weight put great demands on the design of parallel programs and effective implementation of reliable software.